With just 20 days to go until Dezeen Awards entries close, we have news of the Ultimate Dezeen Awards: a top tier of nine accolades that will honour the most outstanding design talent of the year. If you want to be named Dezeen's architecture studio of the year, be able to call yourself emerging interiors studio of the year, or grab the trophy for Dezeen's design project of the year, read on! There will be nine Ultimate awards in total. They will go to the the best architecture studio, interiors studio and design studio of the year in both the emerging and established studio categories. They will also go to the overall best architecture project, interiors project and design project of the year, selected from the winners of the eight project categories in each of the three sectors. See the categories page of the Dezeen Awards website for more details. Ultimate Dezeen Awards will be the highest benchmark of excellence that can be awarded to individual designers and studios. All nine categories will be judged by an Ultimate Jury selected from our 75-strong panel of judges. The announcement of the nine Ultimate award winners will be the highlight of the Dezeen Awards ceremony, which will be held at a landmark central London building on 27 November 2018. Each winner will receive a special Ultimate Dezeen Awards trophy. The only way to win an Ultimate Dezeen Award is to enter Dezeen Awards before the deadline on 30 June! Create an account to start working on your entry now. 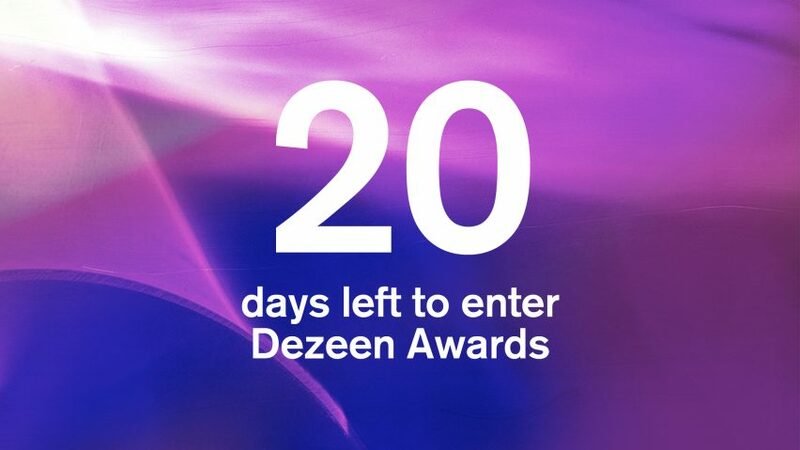 * Companies and individuals who want a chance to win these awards should select these categories from the drop-down menu when entering Dezeen Awards. * Companies and individuals who want a chance to win these awards should enter any project category (eg Tall building of the year, residential interior, or lighting design of the year). Winners of each of the 24 project categories will go forward to the Ultimate Dezeen Award for project of the year in each of the three sectors (architecture, interiors and design). To receive regular updates on Dezeen Awards, subscribe to the newsletter.